Syracuse Business Owners: It’s time to get a website that drives more business your way. "Having people coming to your website is one thing, but that is nothing if they don’t stay there and take action." It is important to have a great looking website but I also know the value of making it persuasive as well. You need an attractive and effective website and that is what I do best. You maintain your office and business to reflect your professionalism and personality – make sure that your web presence reflects this as well. An outdated or poorly designed website will turn away potential customers. A website that is attractive, user-friendly and modern will increase interest and business. Put your best foot forward and choose Buckle Up Studios to help you boost the virtual side of your business. 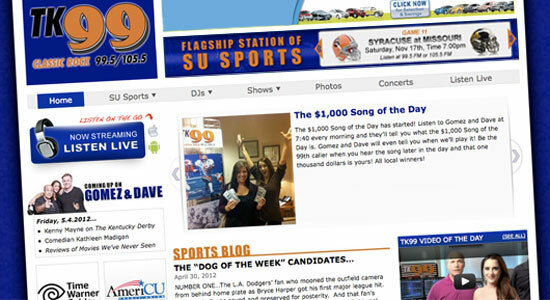 Outside web developers just don’t “get” Syracuse web design – but I do. Buckle Up Studios works with local businesses of all sizes, industries, and website needs. My goal is to help the businesses in our community grow their online presence and thrive on the web with high quality and easy to use websites. Hiring locally comes with a ton on benefits for you and your business. If you are in Central New York, hiring a local Syracuse web design firm like Buckle Up Studios allows us to meet in person more frequently, build a trusting relationship, and allows us to tap into the local network and resources. Buckle Up Studios will take an in-depth look at your business, competitors, and goals before planning a Syracuse web design. 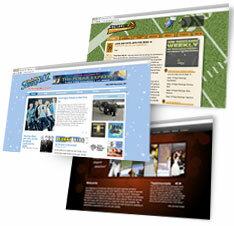 There is no “one size fits all” for web design, and I strive to offer a custom set of solutions for each project. It is important to treat every website as a unique project. Word gets around quickly when you provide a quality product tailored completely to a business’ needs and goals – and it does not stop there. After a website is launched, I am there to help my clients increase their website exposure by providing search engine optimization to increase converting traffic to your website. Having a successful website that generates leads, interest and business is all about being proactive. Do more than just be online. Make a name for yourself, have a great looking website that connects with your target audience and increase conversions. Contact me today to find out how you can increase business for your company by having the right web design and killer marketing strategy to back it up!